This is a great story about true love. Lisa has Down syndrome and Hal has Cerebral Palsy… and they both have each other. Besides being a great story, it also contains some important information on certain implications to getting married when you are currently receiving SSI benefits. 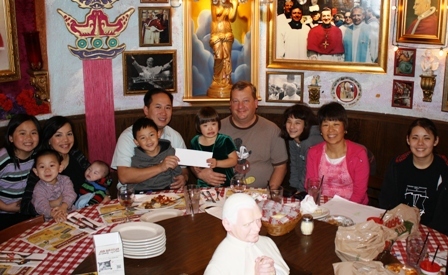 Posted in Uncategorized | Comments Off on Huy Pham Family Golf Tournament – DSAOC thanks you! 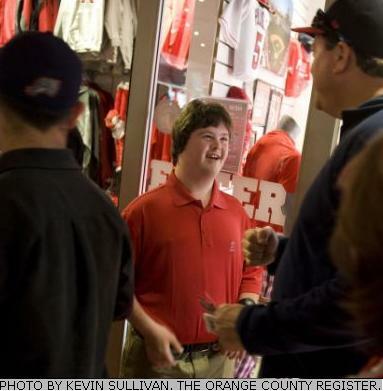 Our very own Trevor Hendershot from Irvine gets an awesome job at the Angels Team store. Posted in Uncategorized | Comments Off on Way to go, Trevor!